Do you play contact sports? If so, you should be wearing a mouth guard to protect your teeth and gums from injury. For example, a football mouth guard protects your teeth from being chipped or broken the next time you’re tackled on the field. We recommend wearing your sports mouth guard for every practice and game. However, you’ll need to replace the mouth guard if you notice the material starting to get thin. Continue reading to learn the other signs you should replace your mouth guard. To learn more about mouth guards and other preventive dentistry, call our office today to schedule your appointment. We recommend you visit your dentist to replace your teeth guard every 6 months or once the season ends. Research shows that mouth guards become less effective when they lose their thickness. This is because there is less protective material to absorb external impact and protect your teeth from injury. You will also want to replace your mouth guard once the warranty runs out. This is because it is no longer guaranteed to protect teeth from sports injury. Don’t chew your mouth guard. This bad habit can fray or deform your sports mouth guard so it wears out prematurely. You also shouldn’t wedge your mouth guard into your face mask. Otherwise, you’ll bend it out of shape. You’ll save money in the long run if you don’t have to replace your sports mouth guard quite as often. If recent dental procedures changed your bite, see our dentist for a new mouth guard. Likewise, you will also need to replace your mouth guard if you’ve recently experienced tooth loss. Your custom mouth guard won’t be able to protect your teeth if the fit is too tight or loose. You should also make sure that your mouth guard covers the entire outer surface of your teeth. 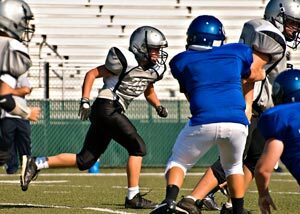 Replace your child’s mouth guard every 6 months or at the end of their sports season. Since your child’s mouth is still growing, it’s important that they have a custom mouth guard that fits properly over their teeth. The last thing you want is for your child’s mouth guard to restrain their growing jaws and smile. Even if your child doesn’t play contact sports regularly, you’ll still need to replace their mouth guard once their jaws grow or teeth shift. If your child is undergoing orthodontic treatment, talk to your dentist about getting a mouth guard for braces. A mouth guard for braces covers both the upper and lower teeth so your child doesn’t have to worry about damaging wires and brackets. This type of mouth guard also prevents braces from snagging on soft tissue on impact. Dr. Piotrowski DDS will be able to create the best mouth guard for your smile and the sport you play. 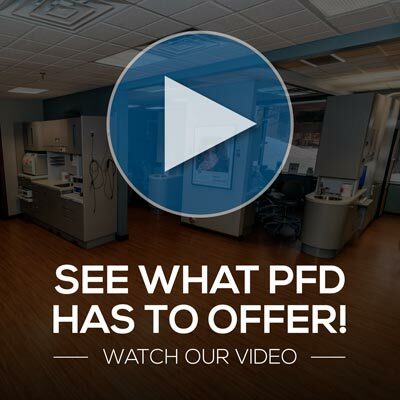 To schedule your appointment with our Grand Rapids dentist, call Precision Family Dental at (616) 207-1280.